With the release of his fourth album, GENERAL ECLECTICS, on September 11th, Thomas Brinkmann breathes new life into his stellar side project SOUL CENTER and Berlin-based label Shitkatapult feels privileged to release the good work. Don't be mislead by the album's title, though. 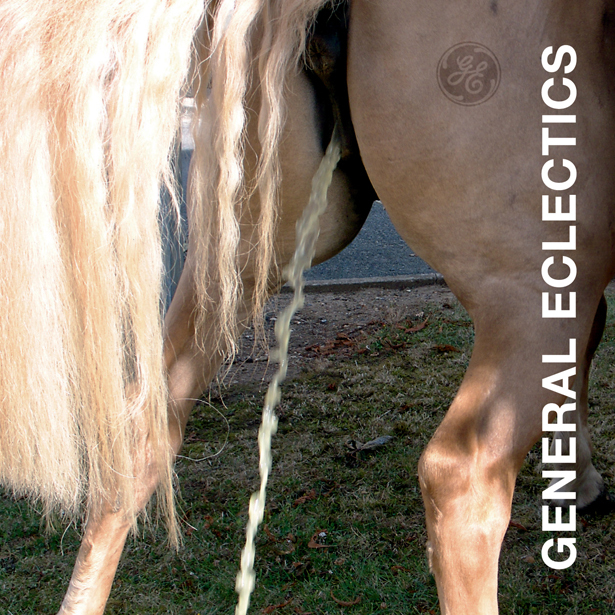 Taken literally, General Eclectics will lead you astray not once, but twice. While the cover might allude to local noise merchants Einstuerzende Neubauten's infamous "Haus der Lüge" sleeve and Paolo Uccello's horse's rear, the album's inner sleeve is covered in maps, footballs, cigarettes, butts, priests... Each replete with their own history. Take the ashtray, for example: a work of art in itself ("Mein Kippenberg") that is both light-hearted and laden with meaning. It is Brinkmann's sense of appropriation (the eclectic side of things), his interpretation of art/music/image/sound, that provides the red thread to connect the individual parts - and concept - of this album. Unlike SOUL CENTER'S previous works, the featured music is almost entirely devoid of samples and returns to a deep melange of techno's richer funk and soul flavours. Seriously - this is funkier than anything we have heard in ages. Brinkmann sets a course with this album to the slidely tired techno circus. From the album's slowed-down opener, MARMELADE, right up to the final hands-in-the-air stomper DYR BUL SCYL. For this album only two tracks include significant vocal usage and this time the artist underlines the background of the lyrics. Aleksei Kruchenykh (Dyr Bul Scyl) and Vladimir Majakovsky (Shum(ichi)) are two of the main writers of the russian futurism of the 1920s. And we all need some more russian futurism these days.